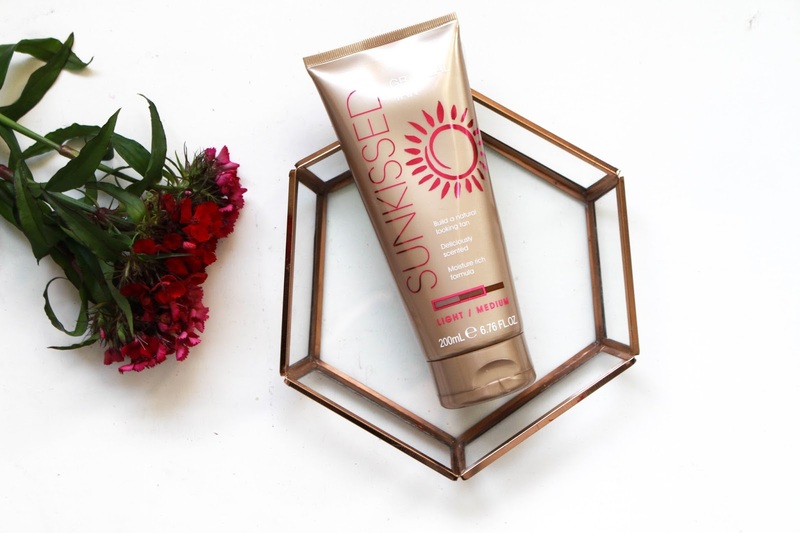 Be A Bronzed Goddess With Sunkissed! Now do not mistake my title for me telling you how to achieve a sun kissed look naturally, good God no. 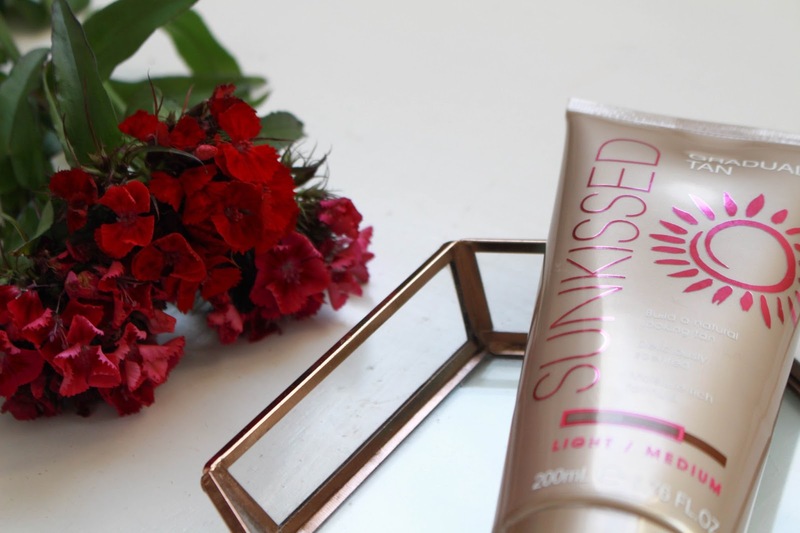 I am showing you how you can achieve a false sun kissed look minus sun damage and endless hours wasted lying asleep underneath the heat. 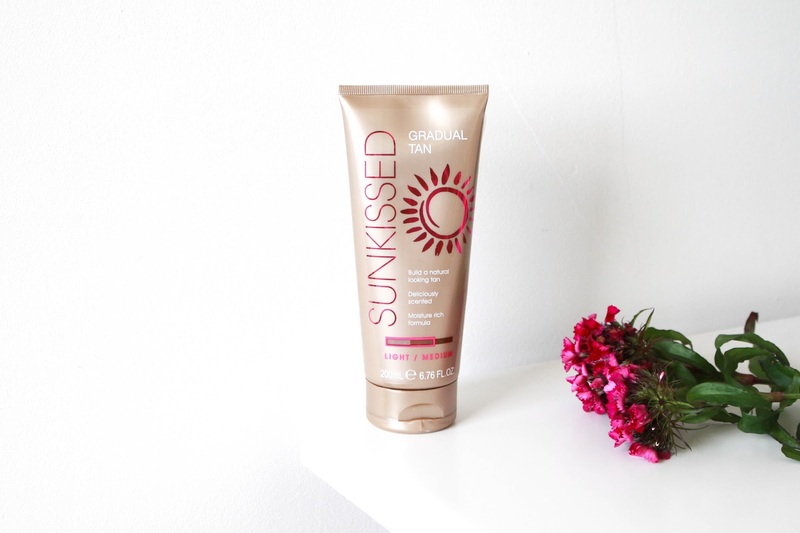 I’m going to be telling you guys about a new product I was recently sent to try out by the brand Sunkissed. They contacted me and asked if I would like to try out some of their products but I don’t usually false tan 1. because I don’t have the time nor the patience 2. It smells 3. It always ends up patchy and orange. So yes It was pretty strange to say yes but I wanted to give you guys a safer alternative to getting that sun kissed glow! 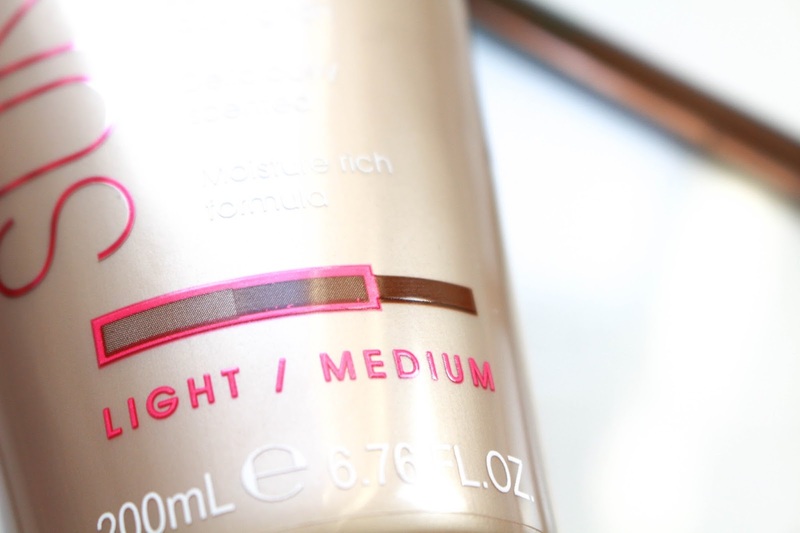 So my fake tan arrived in the post and I opted for the gradual tan in ‘Light – Medium’, which being so pale even wearing ‘light’ false tan is still scary. However, I was so surprised because after one layer it was perfect, it was light enough for me, gave me some colour and wasn’t orange in the slightest. I literally bowed down to the false tan Gods to say thank you. I have never been able to find a false tan which really makes me look naturally tanned, this however does the trick. I would recommend applying it about a week or so in advance if you had an event or party. I worked really well applying one layer every night for three days, scrubbing it off the next morning and then after around a few days after you’ve stopped applying you have the most natural even tan ever! It is very long lasting so it has taken me a while to get my tan game up, I still have patchy legs but I am getting better, but with it being so long lasting which is great it is still hard to correct if you mess up. Now the only downside I have about this false tan is the fact that it has a smell, I am very particular in perfumes and showers gels and lotion etc, I always know it is a given that I won’t like the scents of many products. Sadly I do not like the scent of the Sunkissed tan. I overall hate the smell of fake tan, this one is less offensive but it still isn’t amazing. Of course after a few scrubs in the shower the smell wears away so it isn’t so bad. It does have a Shea butter kind of scent to it when you first use it but when I have woken up to wash it off it smells like just your average false tan. I think now this is probably the false tan I will go to when I want a little glow purely because the colour is great for my pale skin and it is VEGAN. Yes for all my vegan gals who are looking for a false tan this one of course is cruelty free but also vegan, which I think is incredible for the brand to do because it shows that they care for animal rights and it means that everyone can use it which is great and was another reason why I decided to feature this on my blog.